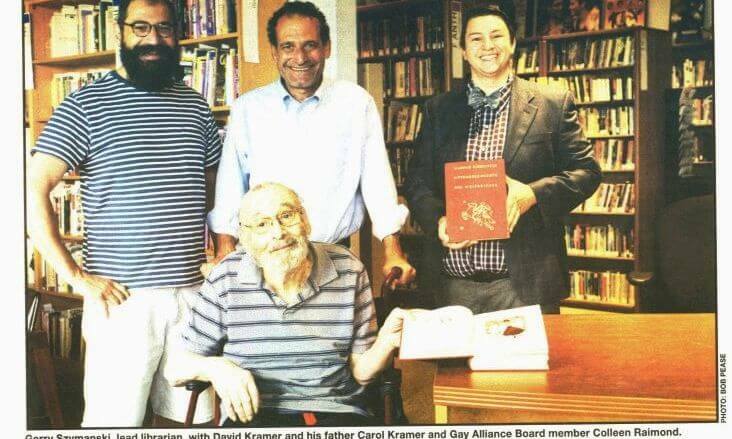 In Thanks, Dad!, we praised EUGENE Kramer for his sterling work as the elder statesman on staff. We also suggested he has a regrettable streak of insubordination. 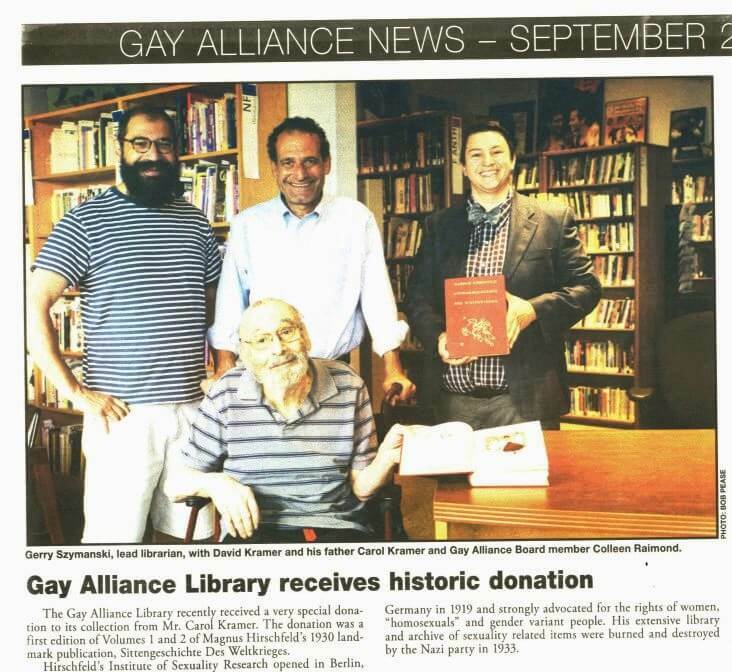 EUGENE knew full well next week we are publishing a major story on the Gay Alliance Library — one of the largest LGBTQ-themed libraries in the nation — including a photograph of EUGENE’s historic donation. For reasons unclear and without permission of the editorial board, EUGENE submitted his photograph to The Empty Closet ahead of our publication date. We condemn EUGENE’s attempt to milk his 15 minutes of fame as a shameless act of self-promotion. 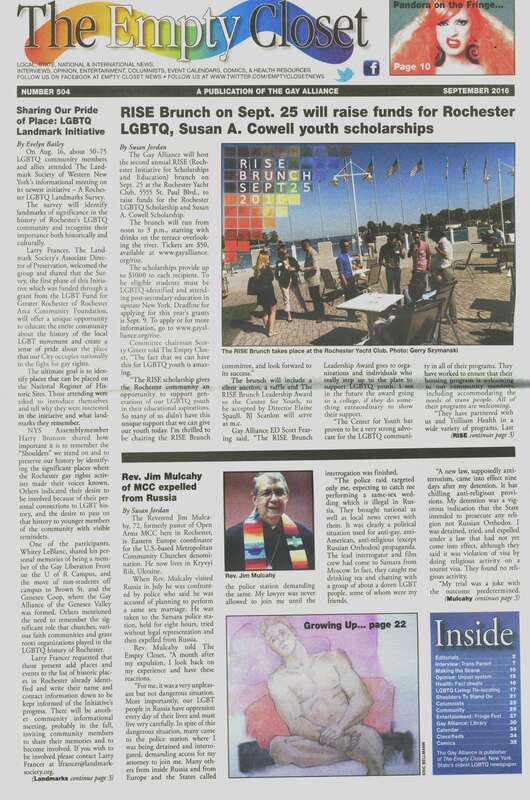 We actually just saw the article less than an hour ago in the University of Rochester’s Rush Rhees library. To cover his conspiratorial tracks, EUGENE provided The Empty Closet with his wife’s name, CAROL — a name used for both genders. EUGENE, your hoax is exposed! 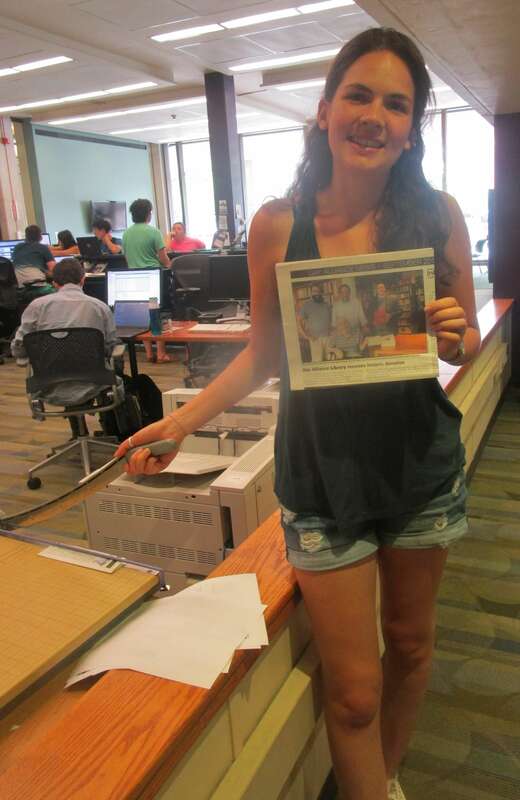 UR student Maria Weber who helped paper cut and scan the article was particularly appalled by EUGENE’s subterfuge. In Maria’s high school yearbook picture, she was captioned as JEREMY Weber, a fellow classmate. Maria believes the error was not part of a larger conspiracy but due to regrettably shoddy proofreading by the yearbook staff.